MMMMMM… cheddar, provolone, swiss, pepper jack, farmer’s, colby…. Do you like meat on yours? Yummmmmmmm…. bacon, ham, pepperoni, turkey…. Guess what I’m having for lunch today! Enjoy yours whatever way you like. And read a cheesy picture book to go with it! 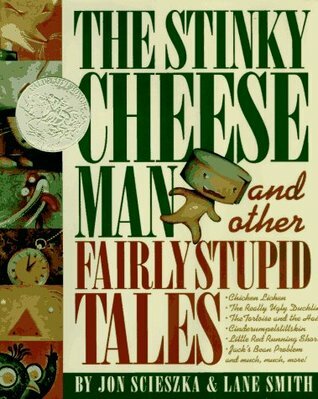 Jon Scieska will keep you rolling on the floor with The Stinky Cheese Man and other Fairly Stupid Tales. Published in 1992, it won the Caldecott Award, The Buckeye Children’s Book Award, and The Texas Bluebonnet Award just to name a few. This Cheese Belongs to You! 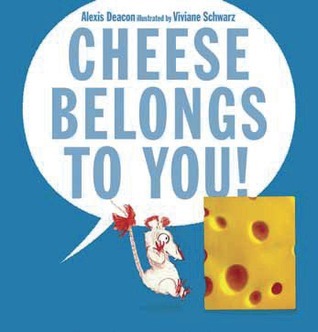 by Alexis Deacon, published in 2013, is sure to be a hit. Just make certain there’s no bigger rats waiting to take it away from you!